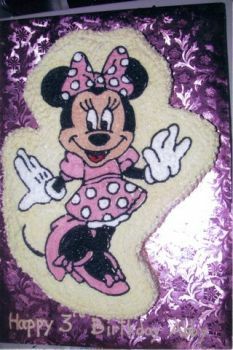 Click Here to Launch the Slideshow or click on any of the thumbnails below. 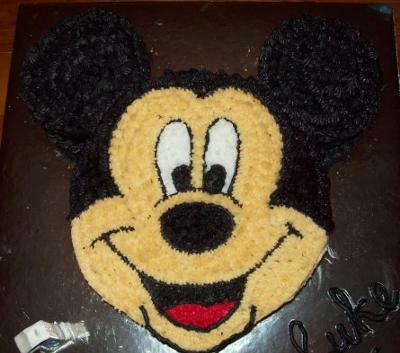 If you would like to see how any of them were made, scroll down and click on the cake you want and it will take you to a description of how the cake was made. 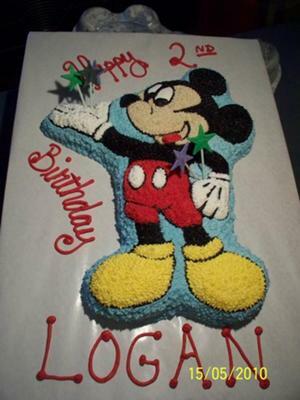 Here are a bunch of Mickey Mouse cakes that you can make to celebrate any little one's special day. 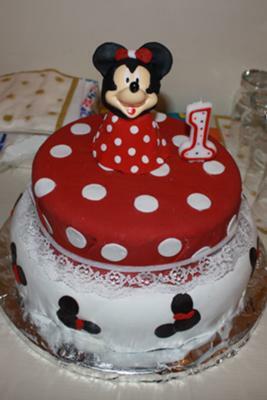 They are sure to delight, so browse through the selection below and if you see one that you like, click on it and you will find a larger photo ofthe cake along with a descripion of how it was made. 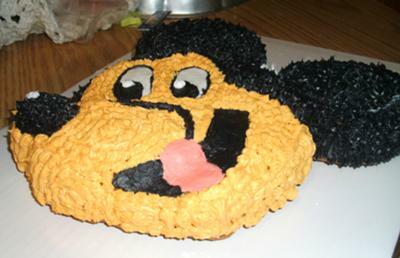 My son, Sam, is 13 and has been watching me make cakes and even helping me make icing. 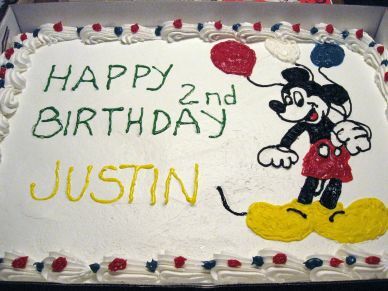 He wanted to try his hand at decorating. 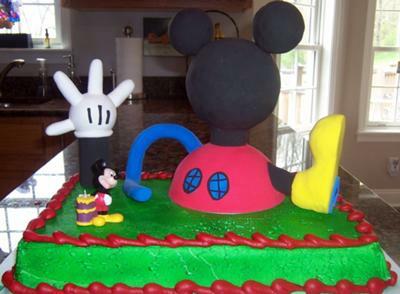 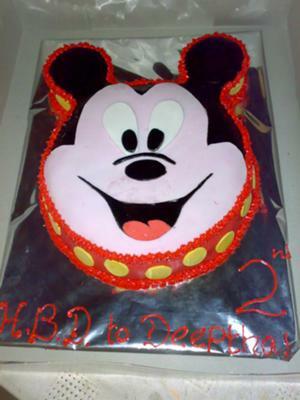 Find out how to make this Mickey Mouse cake. 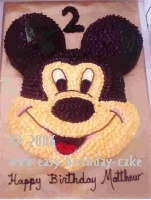 Includes pictures and easy instruction for making this Mickey Mouse birthday cake. 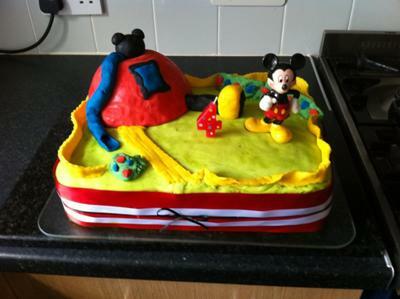 Find out how to make this Mickey Mouse theme cake. 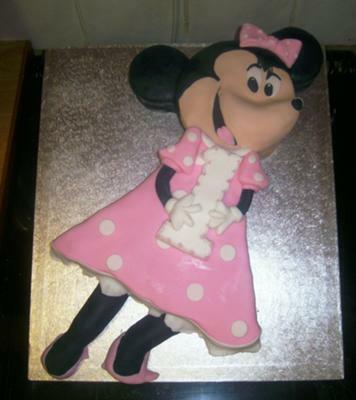 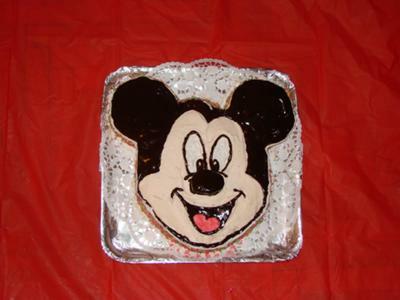 Includes pictures and easy instructions for making this mickey mouse birthday cake and others. 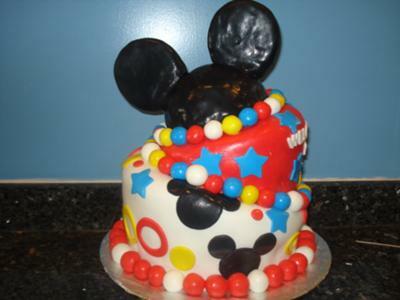 This adorable Mickey Mouse Birthday cake will delight your guests. 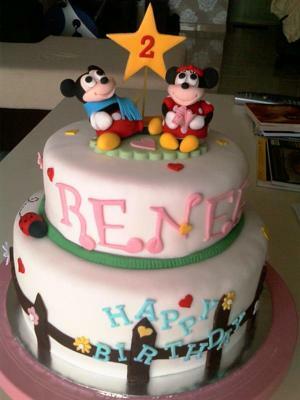 With pictures and easy to follow instructions, you can easily make this cake. 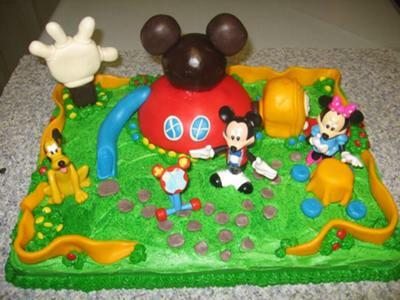 This Mickey Mouse Clubhouse cake I made from three parts. 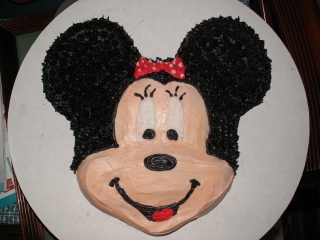 The cake itself, buttercream frosting and fondant that I made from scratch myself. 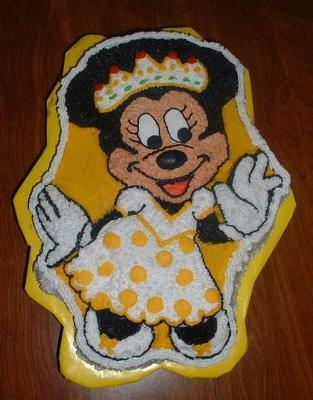 This cake was a 8 and a 10. 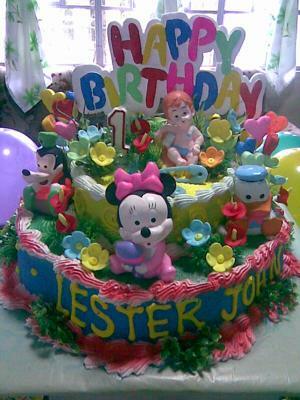 The top tier was red velvet and the bottom tier was yellow. 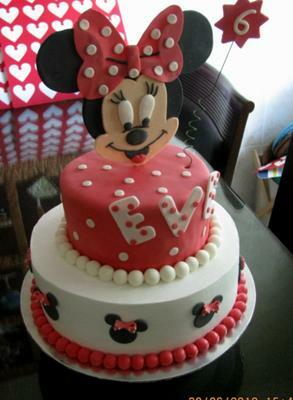 You have to bake 3 layers of each cake for the height. 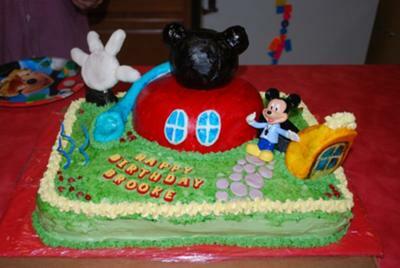 The cake itself for this Mickey Mouse Clubhouse birthday cake, was chocolate with a thin layer of homemade wedding cake icing in between.